Carly Rae Jepsen's "Call Me Maybe" this week surpasses Nickelback's 2007 smash "Rockstar" to become the best-selling song by a Canadian act in digital history. "Call Me Maybe," which is in its fourth week at #1 on the Hot 100, has sold 4,067,000 copies. "Rockstar," which reached #6 in September 2007, has sold 4,019,000. Jepsen is one of three female solo artists from Canada on Nielsen SoundScan's running list of the 200 best-selling songs in digital history. The others are Avril Lavigne, whose "Girlfriend" has sold 3,509,000 copies, and Nelly Furtado, whose "Promiscuous" (featuring Timbaland) has sold 2,833,000. Both of those songs also reached #1. 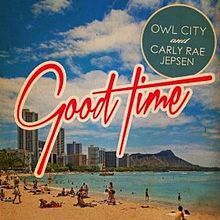 Jepsen also has this week's top new entry as "Good Time," a duet with Owl City, opens at #18. Digital sales rank: #6 (140K). The song is from Owl City's fourth studio album, The Midsummer Station, which is due Aug. 21. Like Jepsen, Owl City topped the Hot 100 on his first try, with "Fireflies" in November 2009. "Call Me Maybe" is the digital best-seller for the seventh straight week. It's the first song to top Hot Digital Songs for seven weeks in a row since the summer of 2009, when the Black Eyed Peas' "I Gotta Feeling" headed the list for nine straight weeks. One other song has had seven weeks at #1 on Digital Songs in 2012 ("We Are Young" by fun. 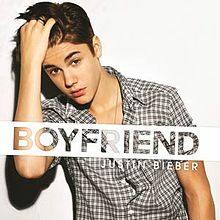 featuring Janelle Monae), but its run on top was interrupted by Justin Bieber's "Boyfriend." Last week, Bieber topped The Billboard 200 while Jepsen was in her third week at #1 on the Hot 100. 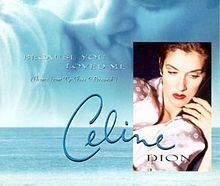 Billboard's Gary Trust notes that it marked the first time that two different Canadian artists had topped these charts in the same week since April 1996, when Alanis Morissette's Jagged Little Pill headed The Billboard 200 and Celine Dion's "Because You Loved Me" was #1 on the Hot 100. In May 2007, Avril Lavigne topped both charts on her own with the album The Best Damn Thing and the single "Girlfriend." 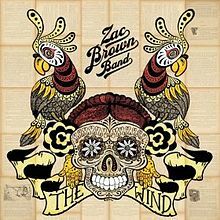 Shameless Plug: Two songs sold more than 5 million copies in the first half of 2012. "Somebody That I Used To Know" by Gotye featuring Kimbra sold 5,501,000 copies. "We Are Young" sold 5,087,000. It's the first time in the digital era that one song, much less two, has sold 5 million copies in a six-month period. I take a look at the biggest hits of the first six months in a Chart Watch Extra that was just posted. 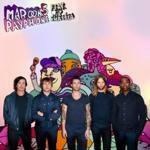 "Payphone" by Maroon 5 featuring Wiz Khalifa holds at #2 for the third (non-consecutive) week. In addition, the song tops the 3 million mark this week. The song sold 3 million in just 11 weeks, which puts it in a four-way tie as the fastest-selling 3 million-seller in digital history. It joins Flo Rida's "Right Round," "California Gurls" by Katy Perry featuring Snoop Dogg, and "Love The Way You Lie" by Eminem featuring Rihanna. One difference? Those hits all took just three or four weeks to reach #1 on the Hot 100. "Payphone" is still waiting its turn at the top in its 11th week. "Payphone" is Maroon 5's second song to reach 3 million, following "Moves Like Jagger" (featuring Christina Aguilera, 5,278,000). It's Wiz Khalifa's third, following "Black And Yellow" (3,866,000) and "Young, Wild & Free (with Snoop Dogg and featuring Bruno Mars, 3,080,000). Maroon 5's latest, "Wipe Your Eyes," debuts at #80. Katy Perry's "Wide Awake" holds at #4 for the third week. 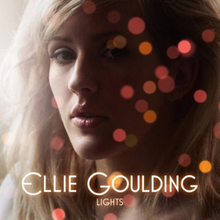 The song tops the 1 million mark in U.S. sales this week…Ellie Goulding's "Lights" holds at #6 for the second week. The song tops the 2 million mark this week. "Titanium" by David Guetta featuring Sia jumps from #12 to #9 in its 12th week. It's Guetta's fifth top 10 hit; Sia's second. She was featured on Flo Rida's "Wild Ones," which reached #5 in May. Guetta is French. Sia is Australian. Thus, we have two collabos in the top 10 that feature two acts that were born outside of the U.S. Gotye was born in Belgium; Kimbra in New Zealand. What an international top 10! 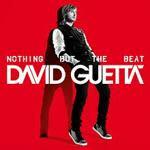 "Titanium," which tops the 1 million mark this week, is the third top 10 hit from Guetta's current album, Nothing But The Beat. 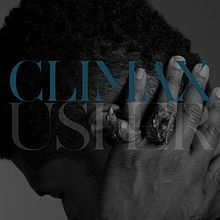 It follows "Without You," featuring Usher, and "Turn Me On," featuring Nicki Minaj. Those three hits have sold a combined total of 5,889,000 copies, but the album has sold just 338K copies. That's just the world we're living in, unless your name happens to be Adele. Nothing But The Beat received a Grammy nomination late last year as Best Dance/Electronic Album, but lost to Skrillex's Scary Monsters And Nice Sprites. 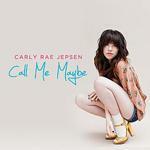 The Top Five: Carly Rae Jepsen's "Call Me Maybe" holds at #1 for the fourth week in its 19th week on the chart. This is its 14th week in the top 10. 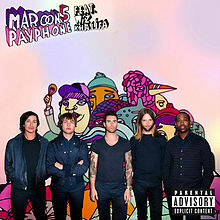 Digital sales rank: #1 (251K)…"Payphone" by Maroon 5 featuring Wiz Khalifa holds at #2 for the third (non-consecutive) week in its 11th week on the chart. It has been in the top three the entire time. Digital sales rank: #3 (186K)…"Somebody That I Used To Know" by Gotye featuring Kimbra holds at #3 for the second week in its 26th week on the chart. This is its 18th week in the top 10. Digital sales rank: #4 (156K)… Katy Perry's "Wide Awake" holds at #4 for the third week in its sixth week on the chart. Digital sales rank: #2 (207K)…. Rihanna's "Where Have You Been" holds at #5 for the second week in its 11th week on the chart. This is its fifth week in the top 10. Digital sales rank: #9 (110K). The Second Five: Ellie Goulding's "Lights" holds at #6 for the second week in its 28th week on the chart. This is its second week in the top 10. Digital sales rank: #5 (152K)…"We Are Young" by fun. featuring Janelle Monae holds at #7 for the second week in its 28th week on the chart. This is its 21st week in the top 10. Digital sales rank: #16 (79K)… Nicki Minaj's "Starships" holds at #8 for the second week in its 20th week on the chart. It has been in the top 10 the entire time. Digital sales rank: #12 (94K)…"Titanium" by David Guetta featuring Sia jumps from #12 to #9 in its 12th week. It's Guetta's fifth top 10 hit; Sia's second. Digital sales rank: #7 (125K)…Usher's "Scream" holds at #10 for the second week in its 10th week on the chart. This is its second week in the top 10. Digital sales rank: #10 (102K). For the first time since February, there are no boy bands in the top 10. One Direction's "What Makes You Beautiful" drops from #9 to #11. The Wanted's "Glad You Came" dropped out of the top 10 three weeks ago. Justin Bieber's "Boyfriend" rebounds from #18 to #14 in its 14th week. It peaked at #2. Two other Bieber songs re-enter the chart. "As Long As You Love Me" (featuring Big Sean) re-enters at #87. It debuted at #21 two weeks ago. "All Around The World" (featuring Ludacris) re-enters at #96. It debuted at #22 three weeks ago. "Mercy" by Kanye West featuring Big Sean, Pusha-T, 2 Chainz, which holds at #15 for the second week, tops the 1 million mark…Luke Bryan's "Drunk On You" dips from #16 to #17 in its 18th week. The song tops Hot Country Songs for the second straight week. It's the best-selling country song so far this year. 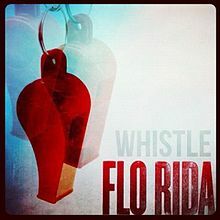 Flo Rida's "Whistle" vaults from #58 to #20 in its seventh week. It is vying to become his eighth top 10 hit. Digital sales rank: #8 (113K). The most famous song with the word "whistle" in its title is "Whistle While You Work" from the 1937 Disney classic Snow White And The Seven Dwarfs. Neon Trees' "Everybody Talks" jumps from #24 to #21 in its 16th week…Demi Lovato's "Give Your Heart A Break" jumps from #25 to #22 in its 13th week. (The girl can sing.) "Let's Go" by Calvin Harris featuring Ne-Yo jumps from #35 to #31 in its eighth week. 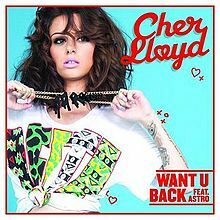 Cher Lloyd's "Want U Back" leaps from #51 to #35 in its third week. Which begs the question: did Cher first crack the top 40? The week of July 31, 1965, with the Sonny & Cher classic "I Got You Babe." Cher first cracked the top 40 as a solo artist the very next week with her cover of Bob Dylan's "All I Really Want To Do." "Both Of Us" by B.o.B. featuring Taylor Swift jumps from #54 to #46 in its ninth week. The song has climbed as high as #18…Little Big Town's "Pantoon" jumps from #55 to #49 in its fourth week…Blake Shelton's "Over" jumps from #76 to #67 in its third week…Keith Urban's "For You" jumps from #78 to #70 in its fifth week. Kelly Clarkson's "Dark Side" jumps from #93 to #79 in its second week. Will it follow "Mr. Know It All" and "Stronger (What Doesn't Kill You)" into the top 10? Stay tuned…Nero's "Promises" debuts at #81. It's from the British act's debut album, Welcome Reality. (Eric Clapton had a top 10 hit titled "Promises" in 1979. )…Big Time Rush's "Windows Down" bows at #97. It's from the boy band's third studio album of the same name, which is due Nov. 20. "Bag Of Money" by Wale featuring Rick Ross, Meek Mill and T-Pain bows at #93. It's from the multi-artist collection Maybach Music Group Presents Self Made, Vol. 2, which enters The Billboard 200 at an impressive #4 this week…Linkin Park's "Lost In The Echo" bows at #95. The band's Living Things entered both the U.S. and U.K. charts at #1 this week. R.I.P. 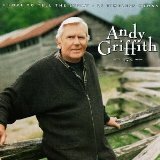 : In addition to being a TV legend, Andy Griffith was a recording star. As Deacon Andy Griffith, he had a top 10 hit in January 1954 with a comedy record, "What It Was, Was Football (Part I & II)." He had a platinum album in 1986, I Love To Tell The Story—25 Timeless Hymns. That album brought Griffith a Grammy (for Best Southern Gospel, Country Gospel or Bluegrass Gospel Album). Amazingly, Griffith never won an Emmy. So this TV icon won a Grammy, but not an Emmy. Whatever. Griffith was featured in the video for Brad Paisley's "Waitin' On A Woman," which was a #1 country hit in September 2008. Griffith was 86 when he died on Tuesday.